1941 Double-Play #63/64 Joe DiMaggio/Charlie Keller (PSA 8) - Only 2 Graded Higher"
One of the more eclectic cardboard issues is the 1941 Double Play Set distributed by Gum Products, Inc. of Cambridge, Mass. A total of 75 cards are included in the set with each card portraying two separate subjects. 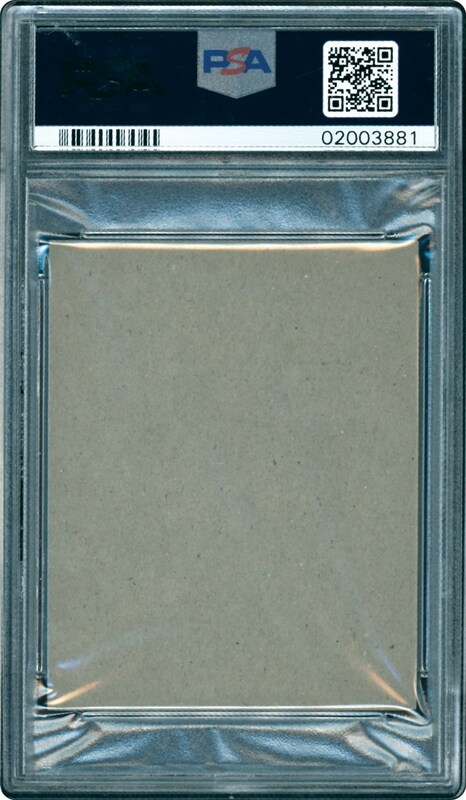 Since each subject includes their own checklist#, the complete compilation consists of a 150-player checklist, with this remarkable PSA 8 Joe DiMaggio and Charlie Keller gem only bested by 2 meager PSA encapsulated copies! While "King Kong" Keller was a fine Yankee slugger, any card depicting the incomparable "Joltin Joe" DiMaggio during his amazing 1941 season stands as one of the hobby's foremost collectibles. It was that fabled season that the "Yankee Clipper" would set what is arguably considered one of our National Pastime's un-breakable records; when he batted safely in 56 consecutive games! 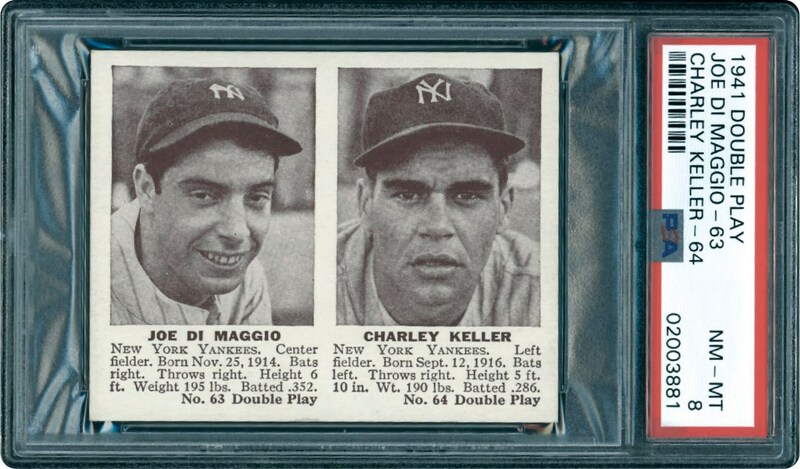 Along with his popular teammate Charlie Keller, this card exhibits a majority of its original factory like qualities including two brilliant sepia-like portrait-poses of the immortal DiMaggio and Keller. Crystal clear clarity and near-perfect contrast highlight the obverse side, and the brief "bio's" bold print, a clean bright surface and pinpoint corners are all consistent with the scarce technical assessment. Rarely seen in high-grade, we highly advise you to capture this amazing DiMaggio keepsake that via its 1941 issue date, conjures up vivid memories of "Joltin Joe's" unfathomable 56-game hitting streak that just may stand the test of time!